Happy New Year! I hope you had a nice holiday. I had a great two-week vacation in Florida with my family. I also hope you had a successful year-end fundraising campaign. Did you get a bunch of new donors and renewals, or did you lose some people? One of the biggest reasons donors flee is because they believe the organization doesn’t do a good job of staying in touch and keeping them engaged. We can change this! 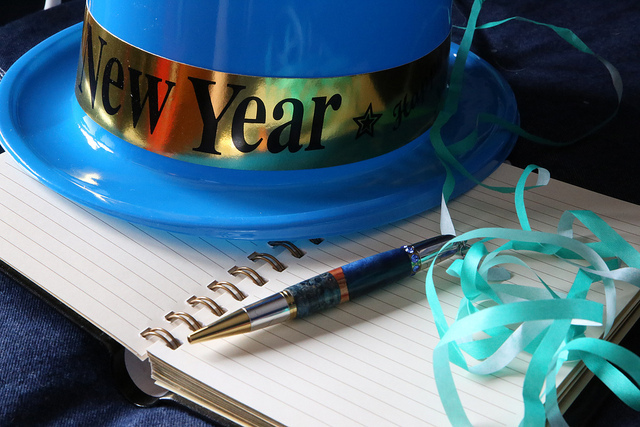 This year make a resolution to do everything you can to keep your donors. Here’s what you can do. The biggest attrition comes between the first and second donation. Shower your new donors with love. Call to thank them for their donation. Send them a welcome packet by mail or email, and include a short survey asking what drew them to your organization. Spend time creating a great thank you experience for your donors – from the landing page to the email response to the phone call or handwritten note. Make it personal and genuine. Remember, thanking your donors doesn’t end after they make a donation. Find ways to thank your donors throughout the year. Make Gratitude Your Nonprofit Organization’s Focus in 2015 – Here’s How! You may already send monthly e-newsletters and regular social media updates, but that doesn’t mean much if you’re bragging about how great your organization is and posting pictures of your CEO receiving an award. Do better. Share content that will interest your donors, such as success stories about the people/community you serve and engaging photos of your programs in action. Let your donors know how they are helping you make a difference. Find out how your donors want you to communicate with them. Don’t spend a lot of time on social media if your donors aren’t using it. You may find some of your donors don’t communicate electronically, which means you’ll need to plan to mail newsletters, postcards, and handwritten notes at least a few times a year. Also, monitor how your donors are responding to email and social media. Pay attention to what they’re telling (and not telling) you. This will make it easier for you to come up with and organize your content. Take into account what your donors want to hear from you and which channels they prefer. Besides newsletters, updates, and photos, you can also keep in touch with advocacy alerts and short surveys. Building relationships is the key to having long-term donors, but who wants to have a relationship with someone who’s distant and formal? Be personal and conversational when you write. Ditch the jargon and use language your donors will understand. Write as if you’re having a conversation with a friend. Again, measure how your donors respond to your messages. Are they responding at all? Perhaps short weekly updates get a better response than your monthly newsletter. Keep communicating regularly with your donors and keep them engaged so they’ll stay with you for a long time.